Construction will soon begin with renovations to the handicap ramp at the main entrance of the Courthouse. During winter months, the current ramp is a hazard to the public due to falling snow and ice from the Courthouse roof. The sidewalk will be moved outward from the building and a gradual ramp leading to the main entrance will be constructed, eliminating the existing steps. A canopy roof will be installed above the entrance. 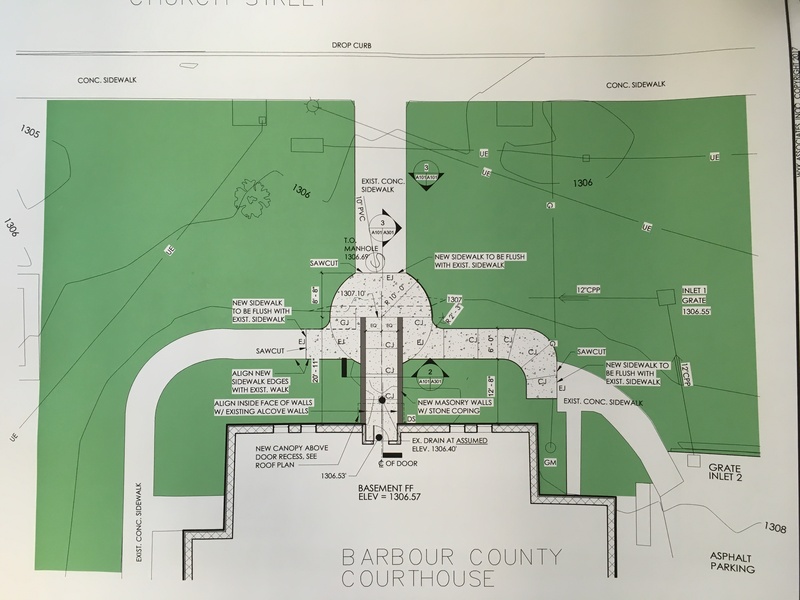 This project is being completed to provide citizens of Barbour County a safe and accessible entrance into the courthouse.